Immaculately presented, this 3-bedroom Sawtell home on a flat 986 m2 lot represents coastal living at its best. 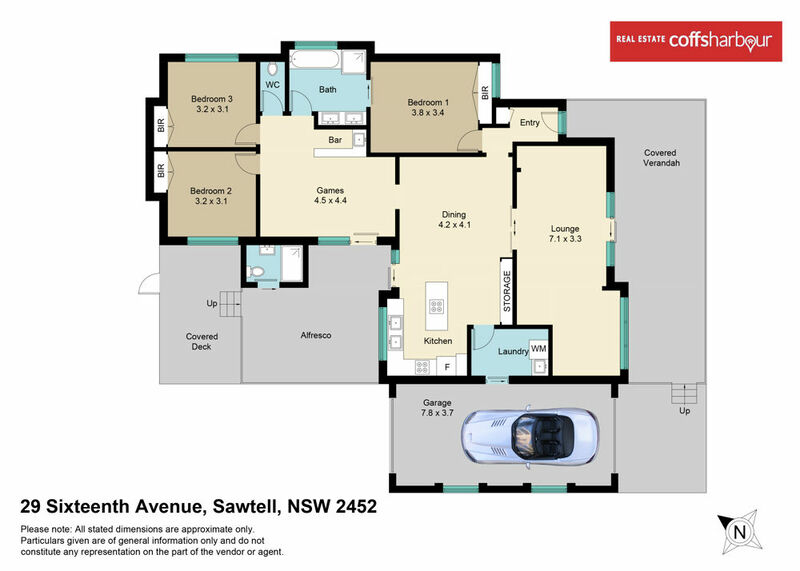 Very suitable for either retirees or families alike and easy walking distance to Sawtell Beach & Village. Large blocks are becoming increasingly hard to find where your family can enjoy the yard space or to have the space for a caravan & boat. There is even room for a granny flat for the extended family members or to generate additional income. The home offers two internal living zones and two external living zones with the design bringing the indoor and outdoor living areas together perfectly. Relax on the beautiful front verandah and enjoy the cooling summer breezes or enjoy the winter sun in the covered outdoor entertainment area. The superbly landscaped gardens are a feature of the home and the family will have hours of fun in the inviting pool. â¢	Eco friendly 5 kw Solar Power. Solar HWS. Water tank for garden & pool. â¢	Very functional kitchen with Miele appliances. â¢	Rear lane access with gates to the rear shed. â¢	Level block with easy access and drive through garage. â¢	Yard has fruits trees & vegetable gardens. All living areas on one level so no stairs to negotiate. Low maintenance gardens. Sawtell Beach, shopping Village and sporting clubs only a few minutes away. Toormina Gardens shopping centre and the airport are only a short drive or bus trip. Relaxed, easy living lifestyle close to all amenities – in a good neighbourhood.